Examiner: I think you know very little, if anything at all, about the Bible. Can you quote any passage? 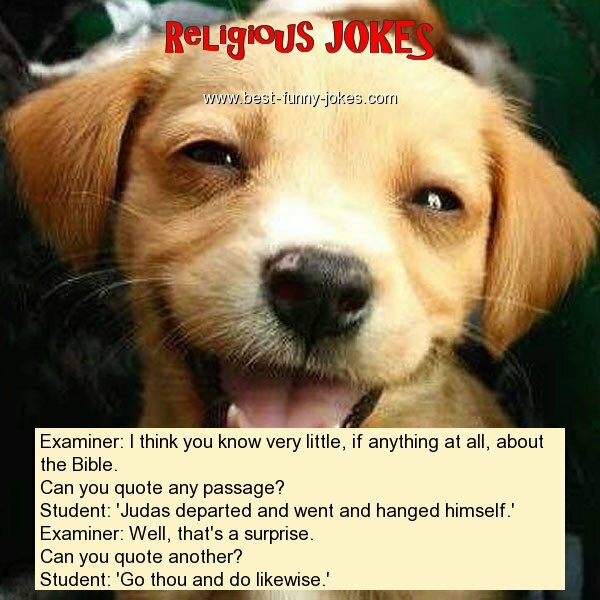 Student: 'Judas departed and went and hanged himself.' Examiner: Well, that's a surprise.